Lately I’ve wrestled with the small things. One of those things is the rewiring in my brain of some common sayings to basically mean the same but without the perceived negative connotations. I’ll say it once and once only, then I may only be smacked on the hand once more only…. Yes, you know who you are! The word is reject. We are not in the business of this, so in my professional seat as recruiter who deals with dozens of people’s job applications a day, we “re-direct” not the former. And can we all agree that recruiters are famous for redirecting. Which makes sense as the former means goodbye, see you later alligator and don’t let the door hit you on the way out. Or in the big picture, we (Salt) or I probably won’t be working with you again. Which, is not the truth. We absolutely want to be working with you again or as the saying goes “it is not goodbye it is see you soon”. I have “re-directed” many and I mean many, with a capital M, many people. And if I’m truly honest, some people I have redirected several times and yet it is me who keeps going back to them knowing that the right opportunity is only a conversation away. So, here I am on public record announcing that I shall look to redirect you with a smile. Referring to my comment above around recruiters being famous for redirecting. I listen to podcasts twice a day. One hour in the morning into work and another hour on the way home. I am currently listening to Tim Ferriss short Q&A version of his latest book Tribe of Mentors. I mention this as Tim reached out to hundreds of the world’s greatest leaders and innovators and as he explains, gained many letters in return. A large portion were people saying “no” to the offer to feature in his latest book Tribe of Mentors. Tim being Tim, found himself respecting these people who turned him down even more because of the way some people said “no” to the invite to being part of the book. In essence, the great the one the only, Tim Ferriss was being re-directed. Yes, even Tim has to handle “no”. Here is a link to the Tim Ferriss podcast where he reads out the very best “re-direction” responses to his invitations to join him. It truly is a fascinating podcast. Enjoy and have a safe and eventful weekend. 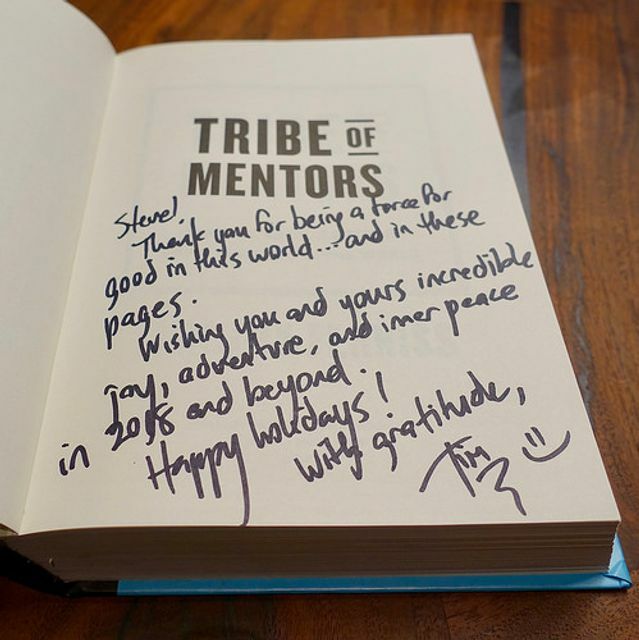 When I wrote Tribe of Mentors, I reached out to many different experts, leaders, athletes, and entrepreneurs who are the best in the world at what they do. More than 130 people said yes — but many others said no.